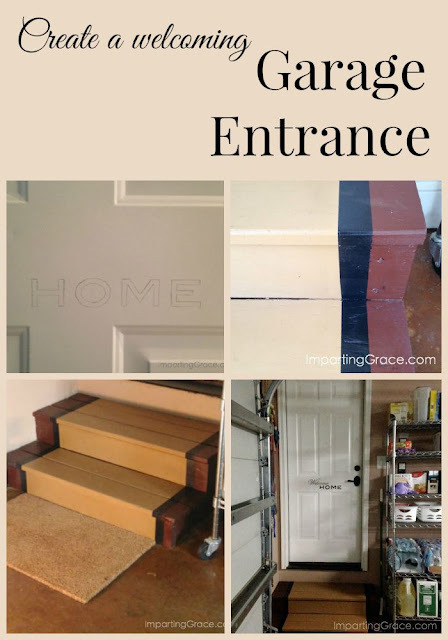 One of the things I most like to do in my home is to create a feeling of welcome. I especially enjoy making the front porch say "Welcome!" to everyone who visits here. Unfortunately, those of us who live here seldom use the front door. We enter through the garage door, which greeted us with dingy paint and not much else. So I decided to do something about that. Of course, I knew that whatever I did needed to be extremely practical. This is not the spot for decor that can get in the way when we're bringing in bags of groceries! I started by putting a fresh coat of white paint on the door and giving the steps a good scrubbing. 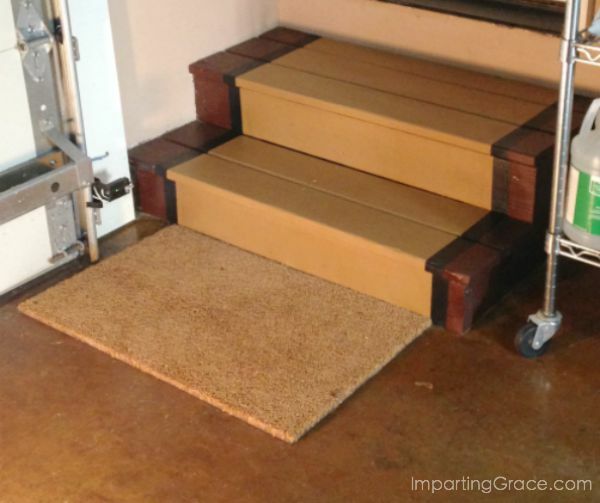 I also bought a plain coir mat for the foot of the steps. 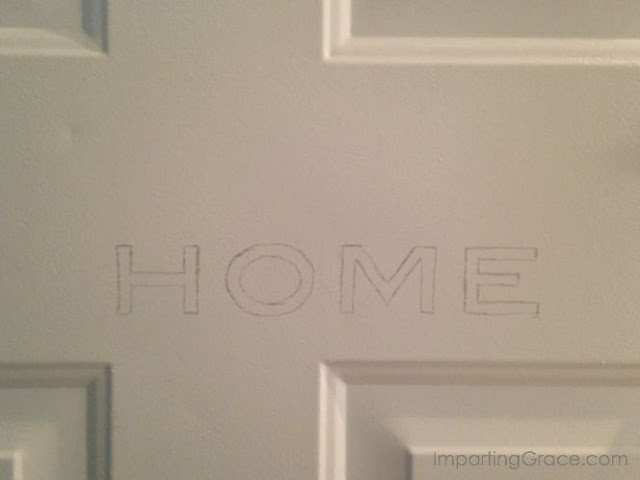 If I had a craft cutter, I would have cut vinyl letters for the door. Or I could have ordered custom vinyl lettering. But I like this process because it allows me to choose any fonts I like and to print them in any size I like--the options are endless!--and it's free! I'm afraid that I'm not very good with a small paintbrush, so I colored in the letters with a black Sharpie marker. Since I had simply painted the steps with craft paint, I figured it wouldn't be very durable. 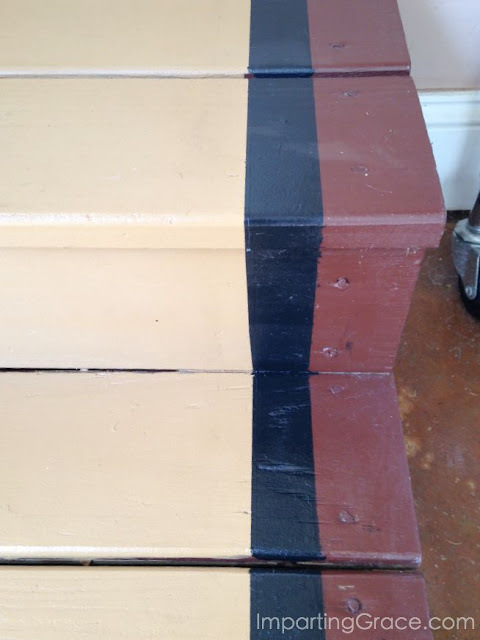 So when the paint was completely dry, I sprayed the steps with clear urethane. The mat is great for wiping our feet, and I love the way our humble steps look with their painted runner! Not bad for less than $20 and a few hours' work, I think. Be it ever so humble, there's no place like home! 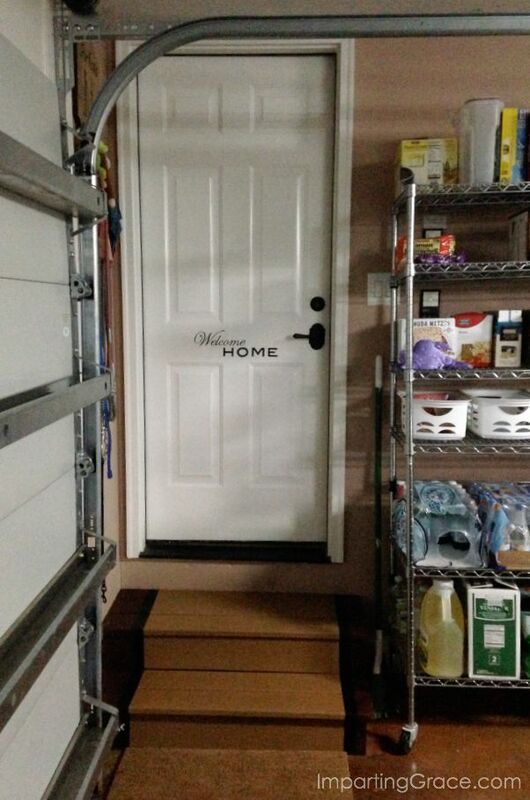 Do you do anything to make your garage door a welcoming entrance? I'd love to hear! I think that is a great idea, Richella, and turned out very nicely. Looks great, Richella! I've never had a garage. They aren't common in my town unless you have a new home. Well, I just love that, Richella! What a terrific idea and your simple touches turned out great! I come through the garage door to our house so often and yet have never thought to decorate it in any way ...until now! Thanks for the inspiration.